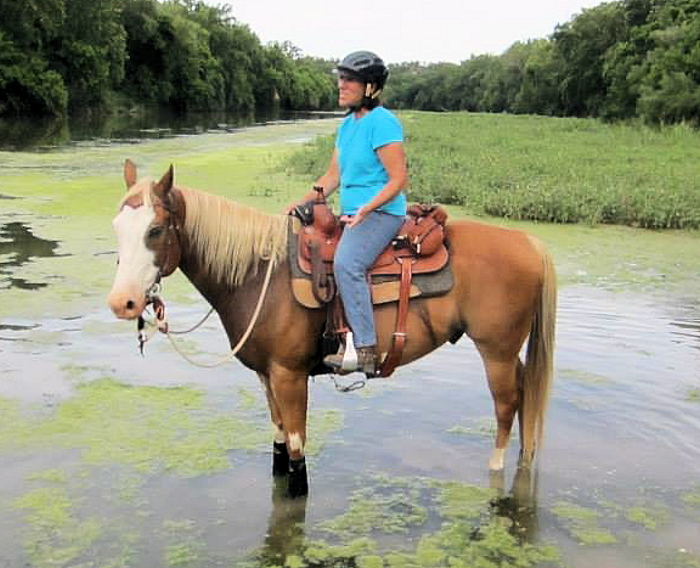 Ann Sides, WTTA’s newest contributor, lives near Greenville, TX with husband, J.Paul, who is head of security and composting, 5 horses, and 3 dogs. Ann works at L-3 in Greenville and hopes to retire in a couple of years. But until then she’ll keep riding and camping every weekend she gets the chance. She and J.Paul have one daughter, Lauren, son-in-law Clint, and one adorable grandchild, Ryan Moore, who live close by in Royse City. It doesn’t get any better than this!!! Cooper Lake State Park in Sulphur Springs, TX. 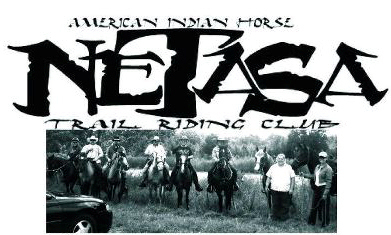 Northeast Texas And Surrounding Areas, is an American Indian Horse Registry riding club based out of Tyler, TX. Their goal is to promote America’s first horse, the Spanish Mustang. NETASA’s trail rides are open to the public and provide a non competitive and relaxed environment. 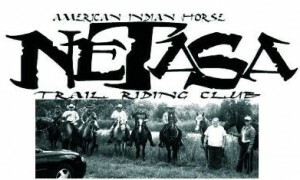 NETASA also strives to provide educational opportunities to their members on the most modern and cutting edge equine health and training management techniques. 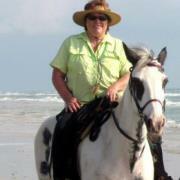 Lin Sutherland is a rider and travel writer specializing in horse adventure. She has written for Field and Stream, American Cowboy, Range Magazine, Trail Rider, Horse Talk, Horseback Magazine and many others. She lives the Hill Country of San Marcos, TX. Deb has been making making equine Rhythm Beads and will create custom designs to match your tack. Stephanie contributed an article on Indian Spirit Springs trails in Bryan, TX. Tracy is a member of The Trinity Trail Preservation Association (www.trinitytrailriders.org), a non-profit all-volunteer trail preservation organization. TTPA’s main purpose is to maintain the 25.5 mile long trail on Corps of Engineers land on Lake Lavon and encourage hikers, joggers, nature lovers, photographers, and trail riders to use the scenic trail. 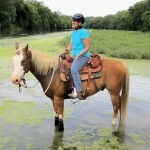 Tracy has contributed a post on the Trinity Trails off of Lake Lavon. Robin writes for the Marshall News Messenger. She kindly gave permission for one of her articles to be re-posted on WTTA! Kelly is the owner and founder of Where The Trails Are. 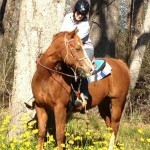 She was born and raised in Texas and around horses. 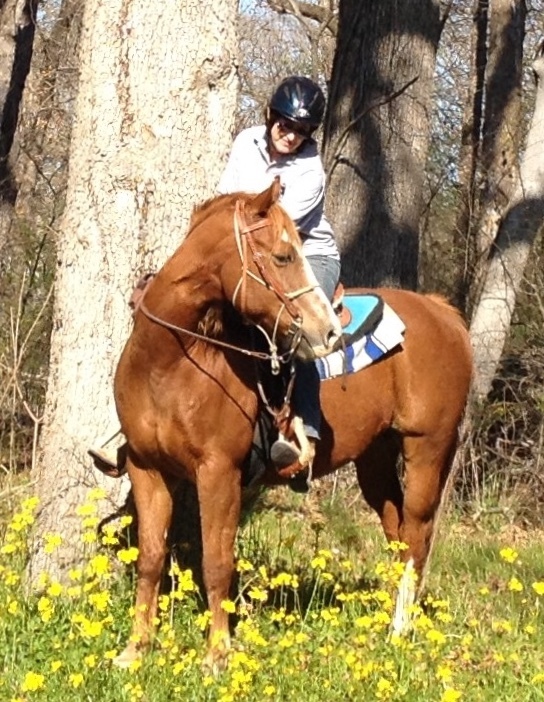 Trail riding is her favorite activity aboard her American Indian Horse/Spanish Mustang, Angel. She and her husband Chris live just north of San Antonio. 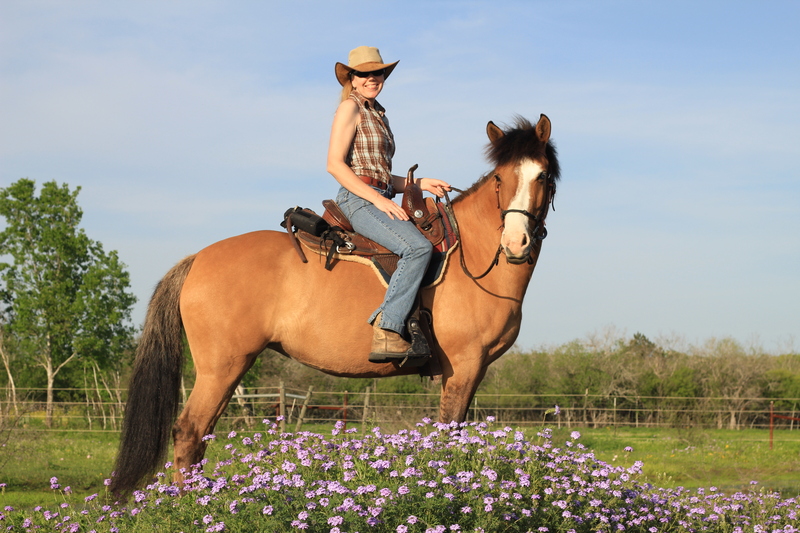 Kelly’s articles about where to ride have been published in The Horse Gazette and The Trail Rider. Old Hancock Trail in Canyon Lake, TX, Onion Creek District Park in Austin, TX, 7IL Trails in Cat Springs, TX, C Bar Ranch in Valley Mills, TX, Guadalupe River State Park in Spring Branch, TX, McKinney Roughs Nature Park in Bastrop, TX, Lazy F Guest Ranch in Smiley, TX, McCown Valley Equestrian Trail in Whitney, TX, Sister Creek Ranch in Boerne, TX, Rusty’s Walnut Creek Ranch in Cedar Creek, TX, Hill Country State Natural Area in Bandera, TX, LHI in San Antonio, TX, SCT in Austin, TX, Parrie, Haynes in Killeen, TX, Pedernales Falls in Johnson City, TX, Six O Ranch in Cleburne, TX, Brave Horse Center in San Antonio, TX, Lacy Point Trails in Waco, TX, Padre Balli Park in Corpus Christi, TX, Pole Canyon in Quitaque, TX, Crescent Bend Nature Park in Schertz, TX, Willis Creek Park in Granger, TX, Tarrant Ranch in Bullard, TX, Plowman Creek Park in Kopperl, TX, Muleshoe Bend and Pace Bend in Spicewood, TX, Ebenezer Park in Jasper, TX, LBJ National Grasslands in Decatur TX, Big Bend Ranch State Park in Presidio, TX, Alamo RV Resort in Von Ormy, TX, Milton Reimers Ranch in Dripping Springs, TX, Lajitas Equestrian Center in Lajitas, TX, Palo Duro Canyon State park in Canyon, TX, and Trace Trails in Athens, TX.